This project was part of the "PSYC 6755: Foundations in Human-Computer Interaction" Class at Georgia Tech. 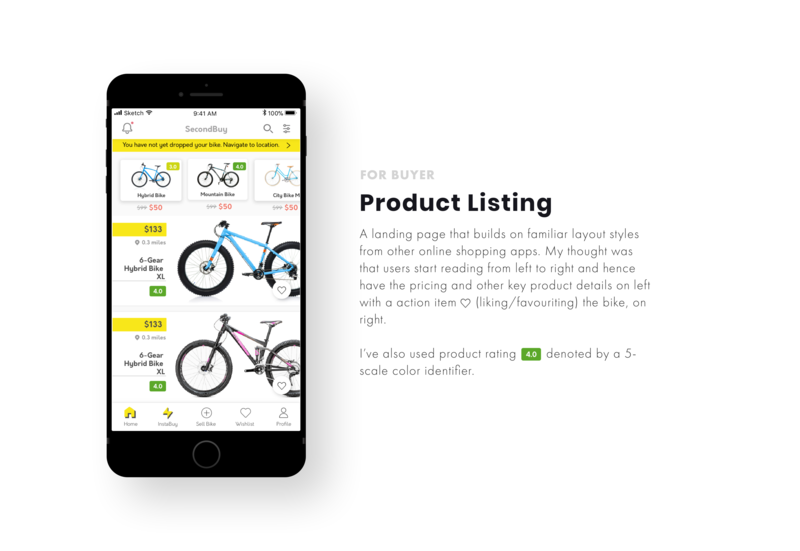 The goal was to research problems people face in buying or selling secondhand bikes, and to design a mobile application that solves some of these issues. 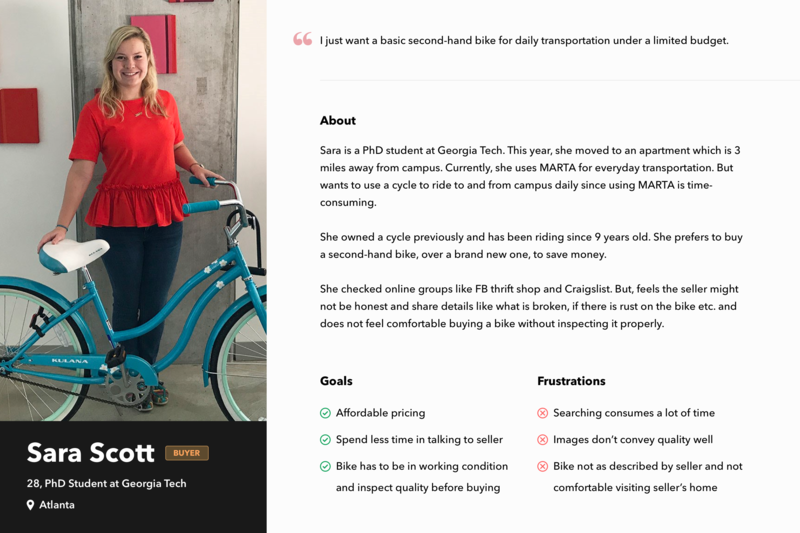 "I need to be able to buy a second hand bike quickly and easily"
To have a great secondhand buyer experience, you need to provide a great seller experience in the first place. A lot of sellers either don't know how to sell, or don't have the time or interest in going through the effort of selling a bike. 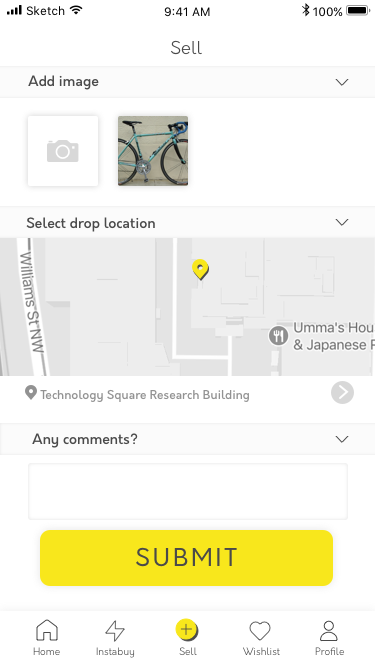 - think 'Uber for experts' where anyone who has basic knowledge of bikes is asked to evaluate a bike that the seller is trying to sell. How do we know if our solution works? What could be the impact of this design? People were being held back by uncertainty - both in product quality and personal safety. 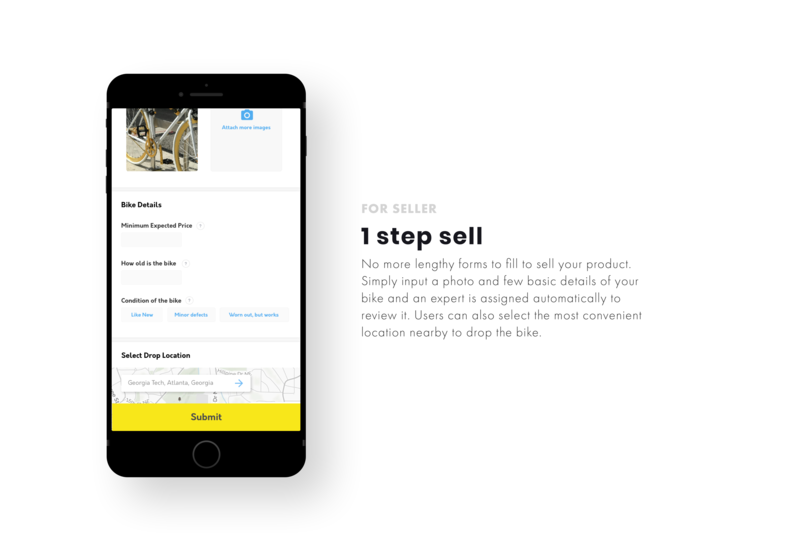 We believe our model can change that and spur more transactions in the secondhand buying space not just for bikes, but other transactions too. 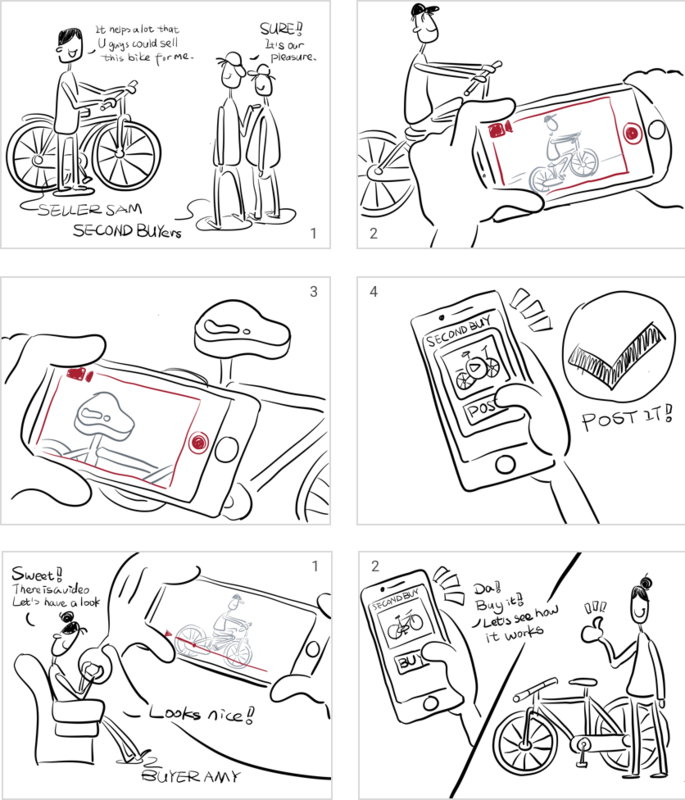 Close up shots of the bike along with video walkthroughs that the expert took. 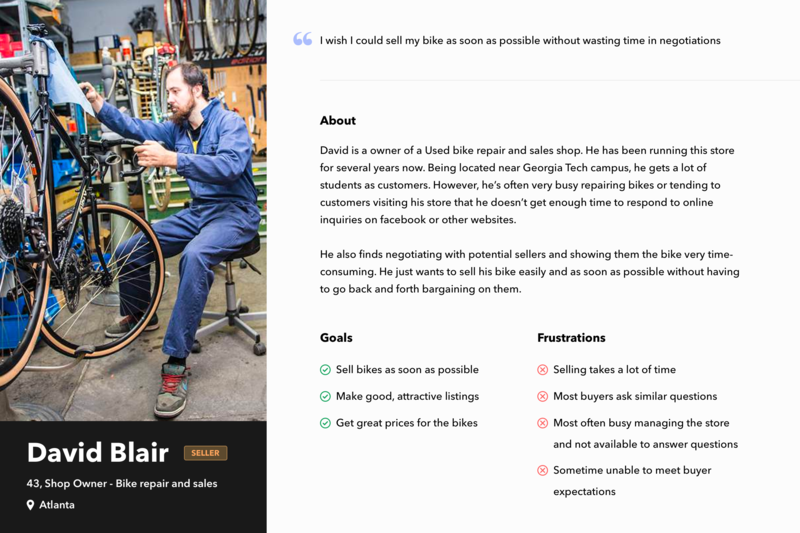 This makes it easier for the buyer to get a sense of the condition of the bike. 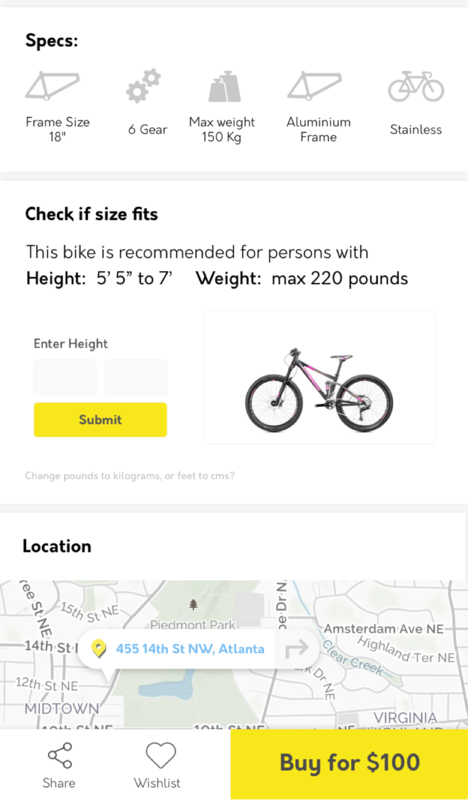 ‍Home Users can use the size calculator to see if the bike is a fit. This detail need only be input once. Upon input, the a figure of the input size is shown to scale next to the bike. To make the buying process faster, we removed the concept of adding something to a shopping cart. 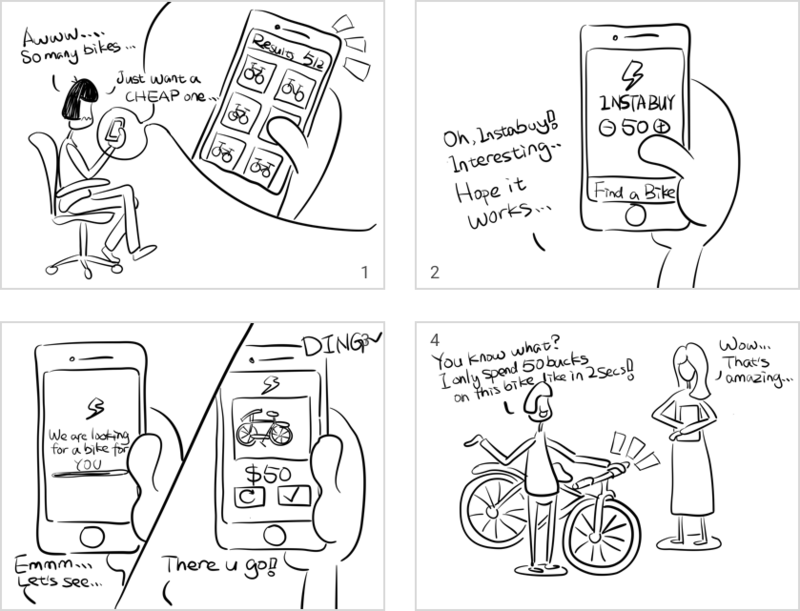 We found that at any time, our users won't be buying more than 1 bike. 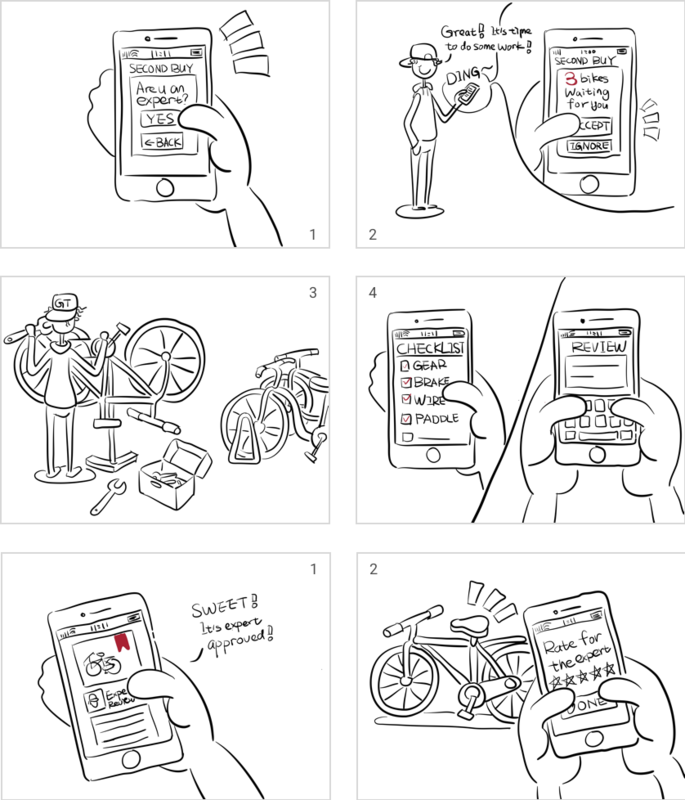 The seller has to enter minimal information while setting up the bike for sale. This would encourage more people to sell. The rest of the details are added to the listing by the expert. 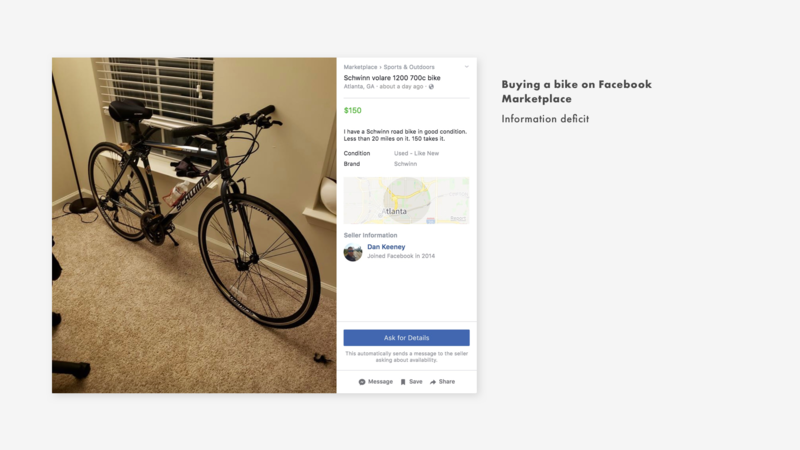 Comparing experiences for shoppers on Amazon and Facebook Marketplace shows how information deficit FB Marketplace or craigslist is in comparison to that Amazon gives for a new bike buyer. How did we identify key pain points? What were some of our key insights? 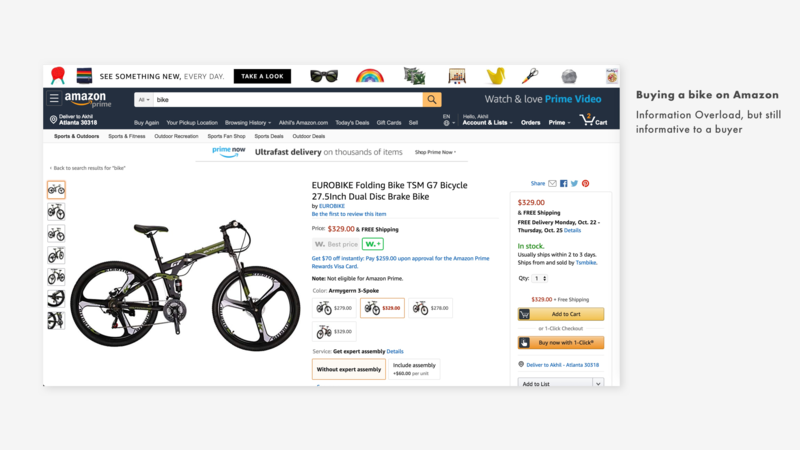 What Information would a secondhand bike buyer need, about a bike, for an optimal buying experience? 2. think it time-consuming to list product information online. 1. have trouble making a decision when the information is insufficient. ‍We shortlisted key pain points from our research and proceeded to ideate solutions for those. Each brainstorming session was 15-minute long. At the end of an idea brainstorming, we discussed our ideas, and then conducted another brainstorming session. 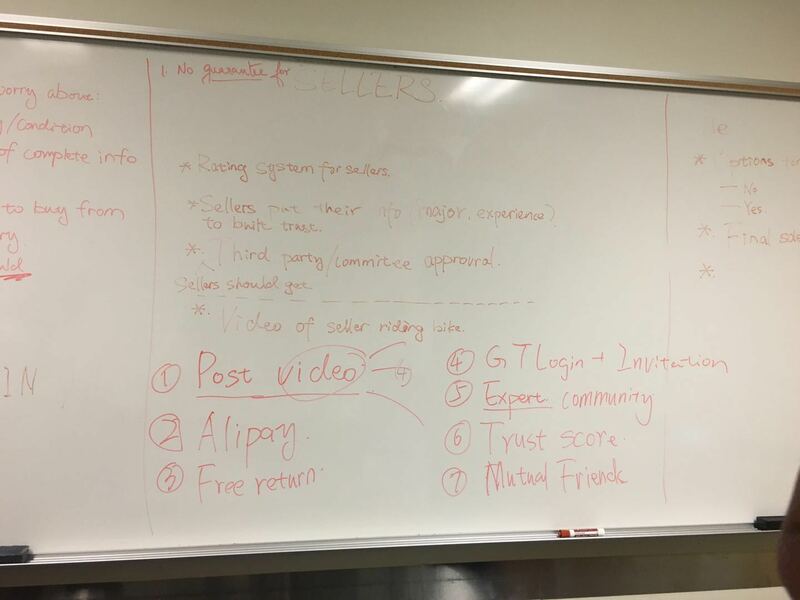 At the end of 2 sessions, we came up with 20-25 different design concepts. We then developed storyboards to help explain the concepts we ideated. 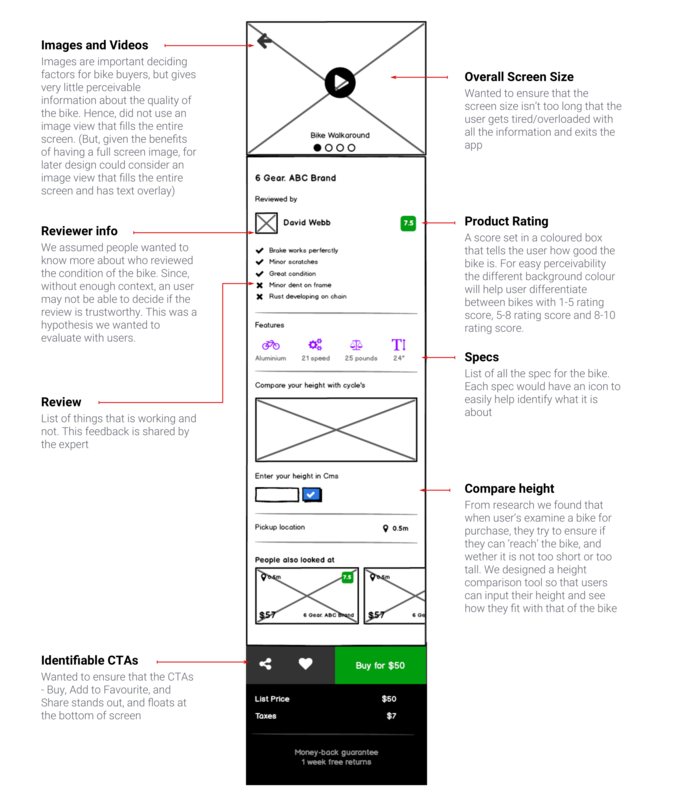 Our goal from the storyboard was to try to enact if these concepts could indeed delivery a better experience at current pain points. 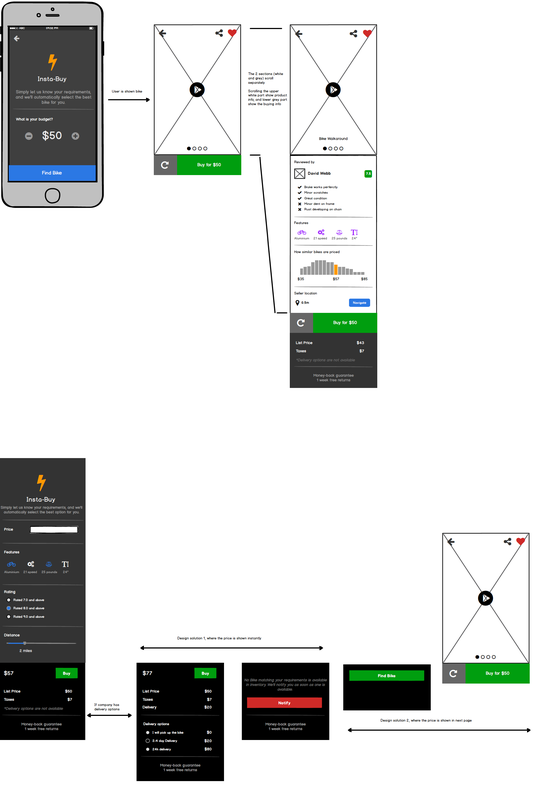 This was an interactive prototype that I created on Framer. 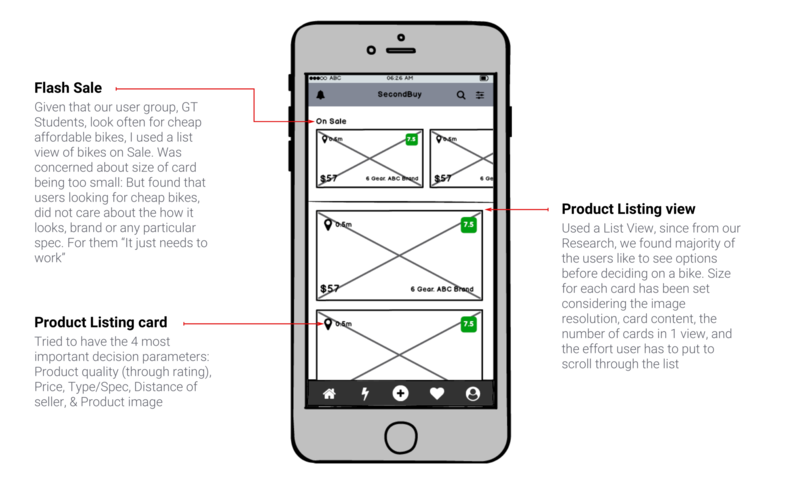 It include some key interaction and motion designs too. How we know if our solution works? Some of the participants did not know the difference between the star rating for the expert and the product rating. 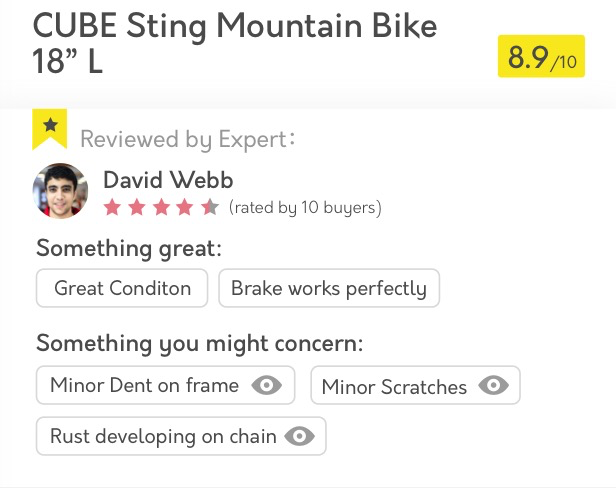 Many people thought the star and product rating were the same, even though the star rating was shown under the expert. We rectified this by having a clear demarcation for expert reviews. The reviewer information will be shown in a card format. In each card, next to the star rating, the number of buyers will be shown. 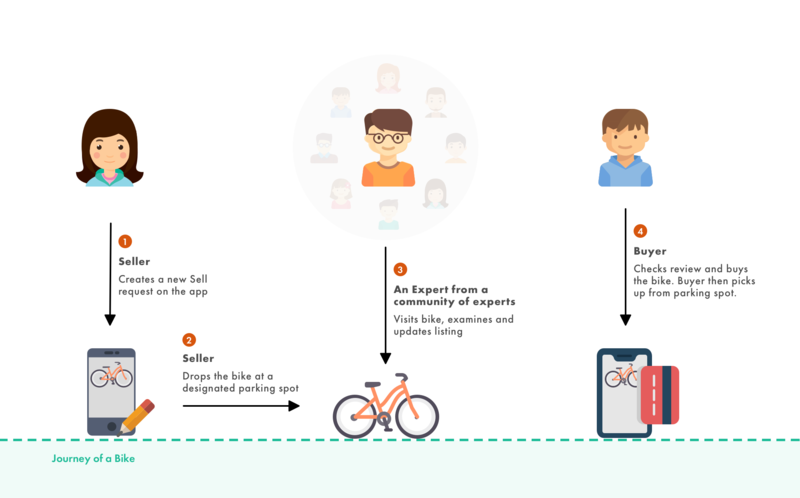 Details about the expert will also shown in a card format so that users understand that the star rating is for the expert. We will also add some reviews for the expert for users to get better context. Another feedback we received was that differentiating between the bike size and title was difficult. “Want the titles of the bike separated more obviously, e.g. 18'' L and Mountain bike with different Font colors or font of size. Since both are placed close to each other “. 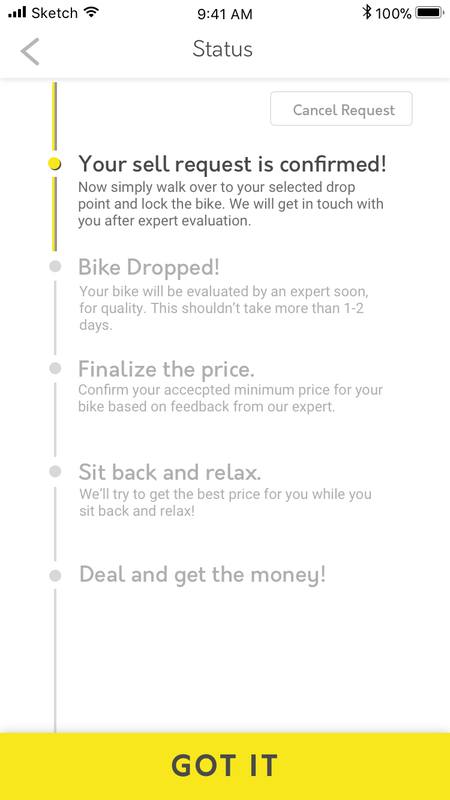 ‍We will change this to have the bike size shown part of the product specs below. 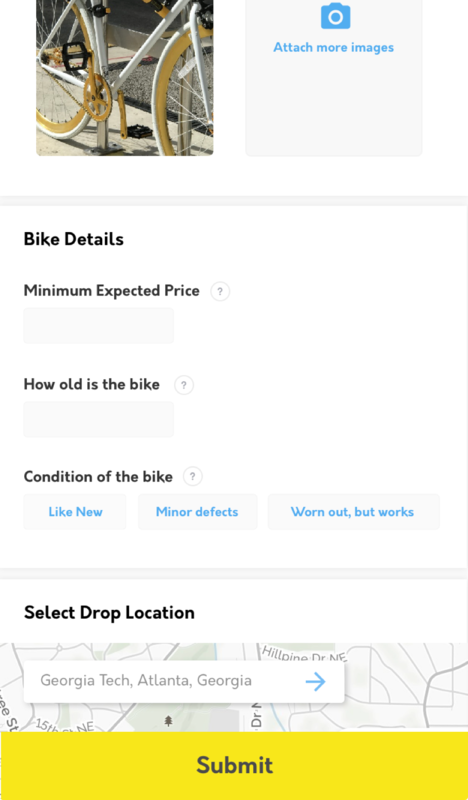 We will also add more content to the product spec to include things like how old the bike is, since several of our user tests wanted to know. 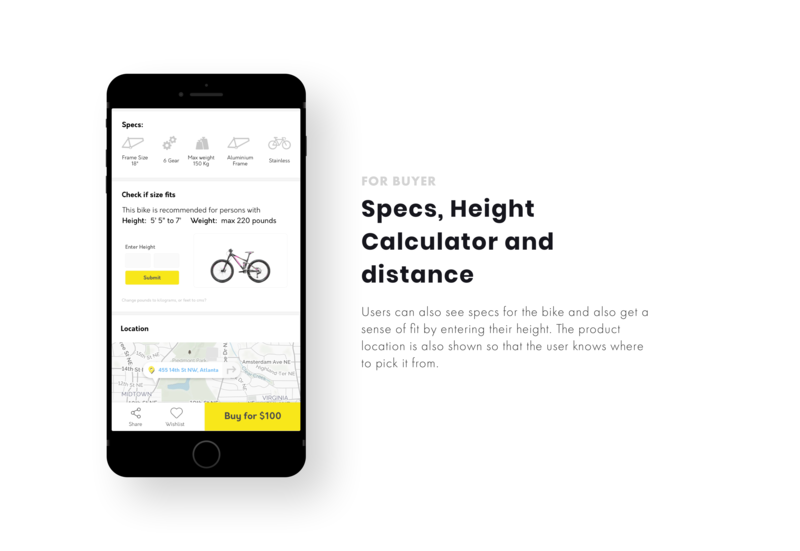 ‍We had a feature to help users compare their height with that of the bike. However, in our current design, this only shows one specific size for person, of same body size. 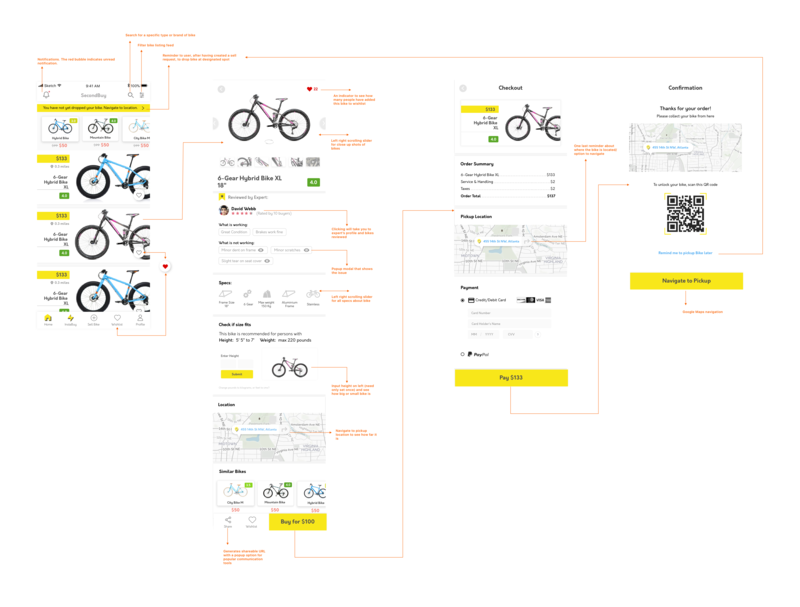 One of our feedback was to change this to show how different body shapes would work for this bike - weight, size, etc. 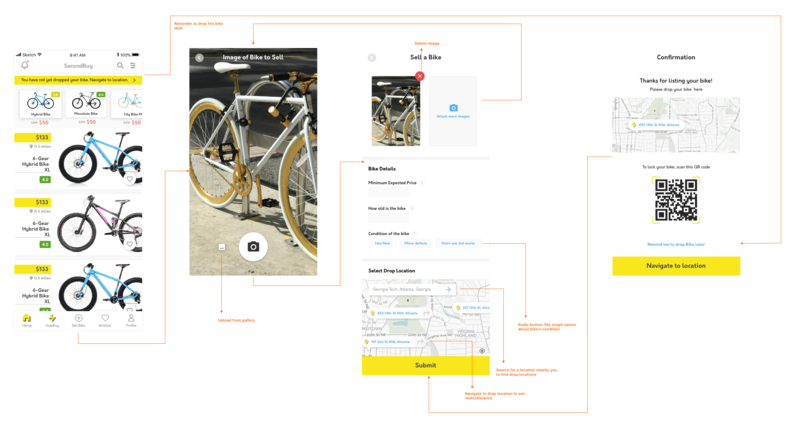 ‍We will change this to show fewer steps and a more easier and clearer process for users to follow. 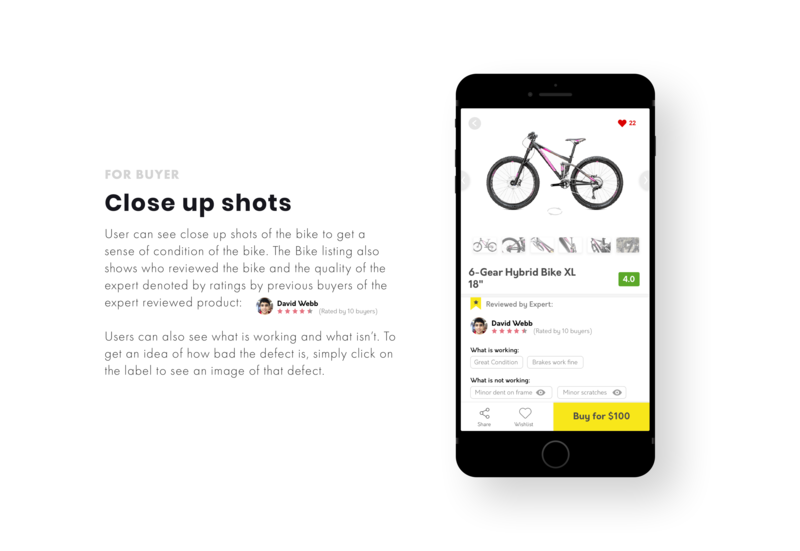 Sometimes you have to cut corners - Although we were designing to improve the app shopping and selling experience for used bikes, there was so much that is offline, and outside the app which we wanted to design for. We tried to do everything initially, only to realise some things were simply beyond scope, and to be left alone. It taught us how to better manage time. Most users today have moved from landscape to portrait mode for capturing images. We stuck to a landscape mode for displaying images because that was more convenient. The issues of showing a portrait image in our current design would simply make the image look unappealing - if portrait, we would either have to blur/blacken the image background, or zoom and centre crop the image, or crop out some portions of the image losing some important details. All three options did not seem like something users would be happy with. Hence we stuck to landscape mode for images. 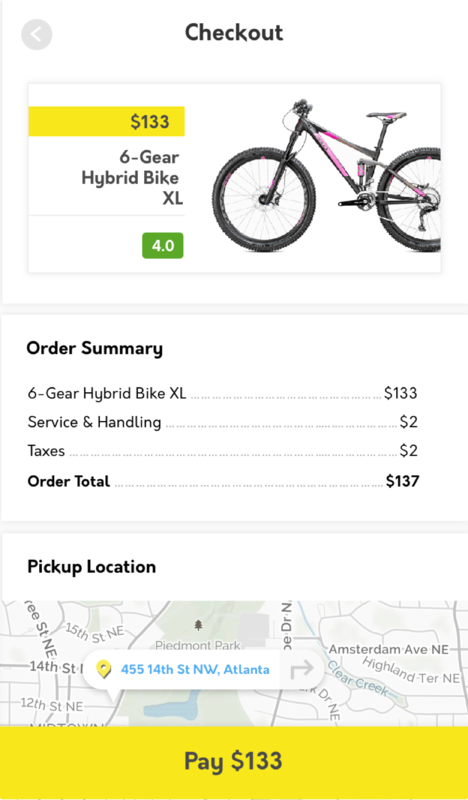 In the later redesigns, we would look at product listing with portrait mode, and how information can be displayed over the image. 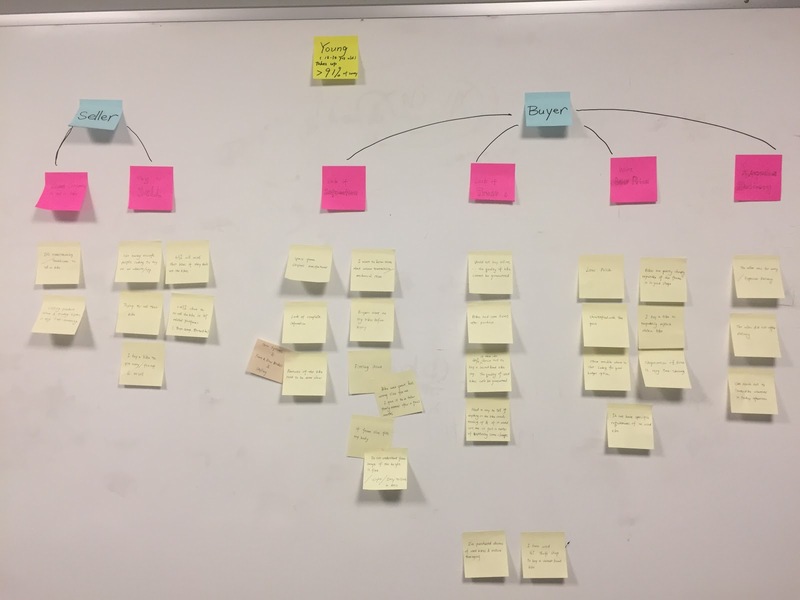 When we did the need analysis and compared our concepts with each other and with user requirements, each of has different ideas on which concept was more effective, and which to discard. All four of us had formed different perspectives and interpreted the concepts differently. We also couldn't justify why some of the concepts were going to be more effective than the other. We ended up having each of us score the concepts, average out our scores and select the one we all thought was most effective.